This is where my love for feathers takes the expressive, physical form. I am drawn to the tender language they speak, whether they are dishevelled and damaged or glossy, almost perfect, plumes. 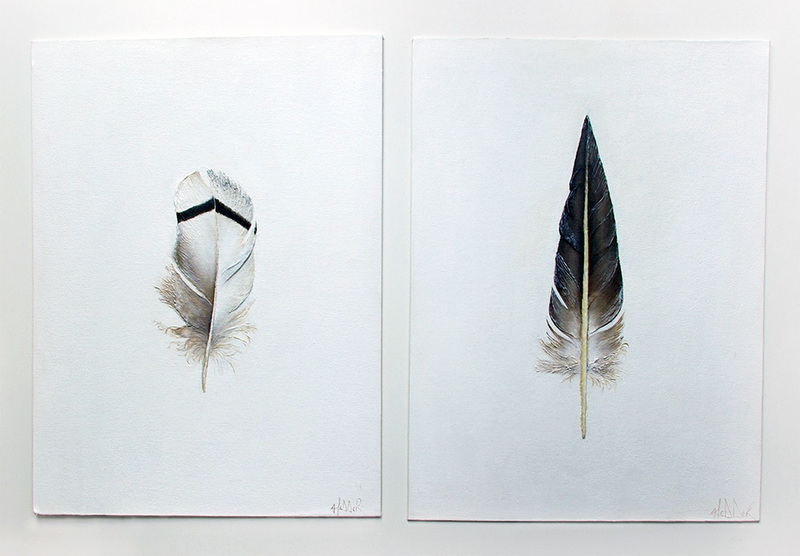 These feather paintings always come to life in pairs. 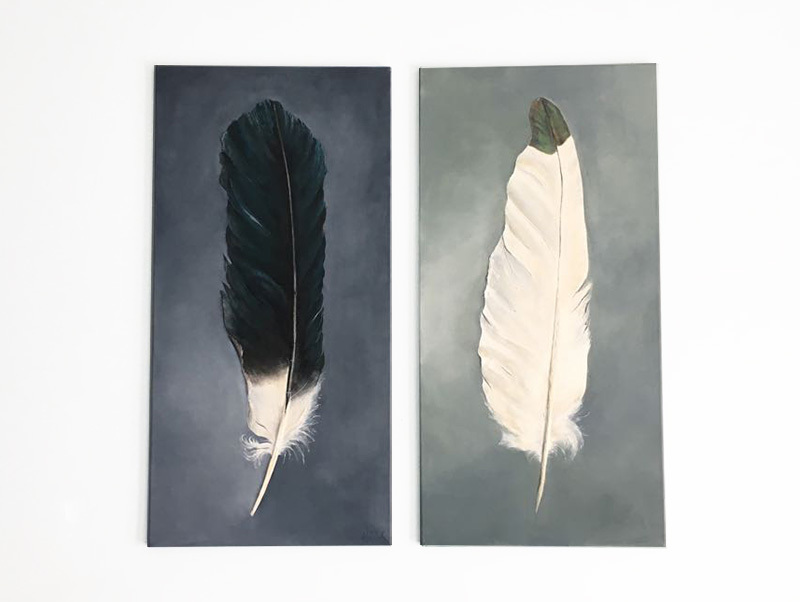 A desire to create harmony and look for the ‘whole’ sees me looking for and pairing feathers with visual symmetry and complementary shapes, colours and even stories. Ultimately, I look to achieve balance through an almost symbiotic dissimilarity. I work in part relief sculpting, part acrylic paint on canvas board. Get in touch if you’re interested in buying a pair.